RF Receiver and RF Com Module. Discover new possibilities to create a dynamic and collaborative learning environment with DualBoard. The multi-user interactive whiteboard allows two students or groups the unique opportunity to simultaneously work together anywhere on the surface to control and annotate over content with a whiteboard pen. High-resolution technology provides industry-leading accuracy in writing, diagramming and content delivery. 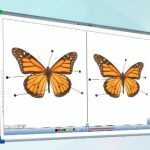 DualBoard’s versatile design allows it to functin in a non-interactive mode as a standard dry erase board, so markers can be used and easily erased. When used interactively, select “Split Screen” or “Sandbox” mode for greater engagement and provide multiple users the chance to annotate and work with lesson material from anywhere in the room. DualBoard is available in both standard and wide-format sizes. Enrich the learning experience to inspire creative thinking. 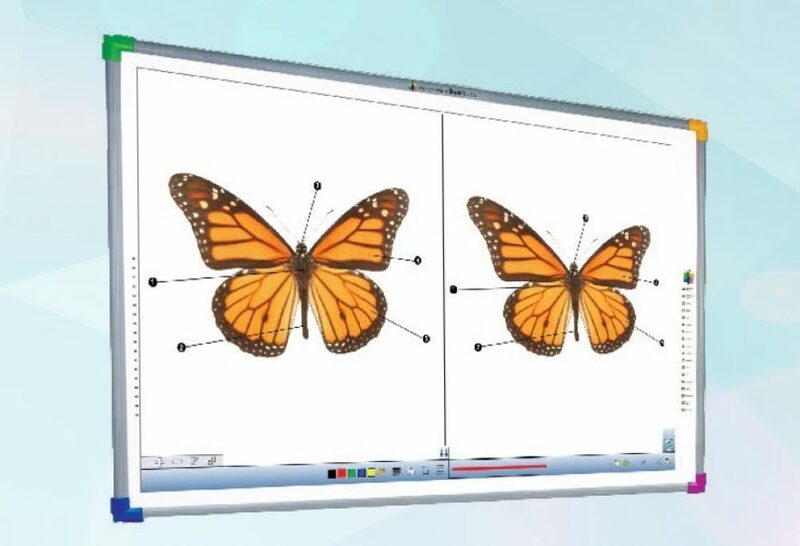 Award-winning WorkSpace software powers the DualBoard, providing students and educators with access to write, diagram, manipulate and annotate over instructional content. Use with Mobi™ Learners to increase participation and allow up to nine students to display work at the same time without ever having to leave the seat. The AdjustIt III stand (sold separately) is easy to install and provides DualBoard with exceptional mobility from class to class and around the room. Superior flexibility enables presenters to adjust the board to any height. AdjustIt III includes a video projector adapter and is available in wall-mount or floor-stand configuration.